And I agree, with an infant around, continuous doorbell do sound like a nightmare. Even when the baby isn’t asleep, it would really upset her. I wish there was just Halloween…that’s it. 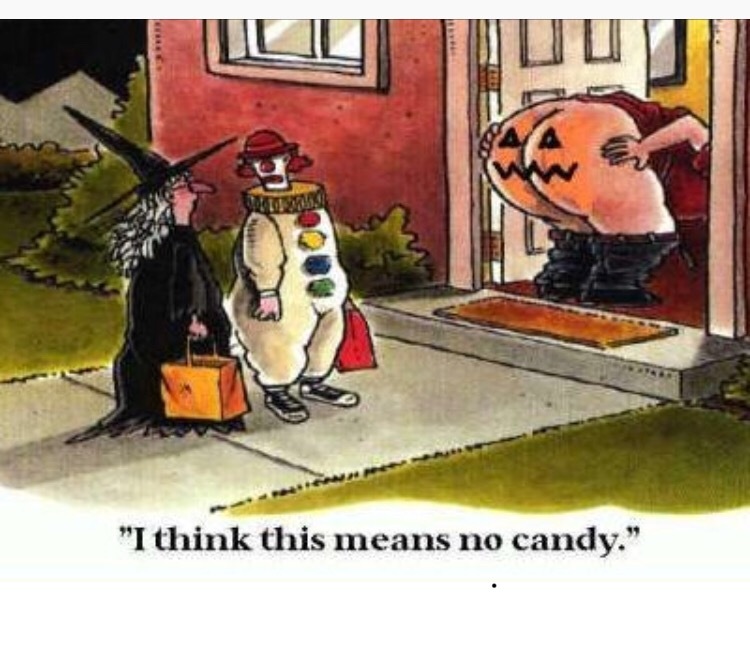 No trick or treat. Maybe I’ll think differently once the baby is older and I can dress her up… and annoy the neighbors. I’ll call it pay back time! Well I live in the desert. Just right by the first sand dune and left of the next one. Yeah I did put a little note. Everyone knocked so it was all good.